Two months ago, I was asked by Schrijf-Schrijf to take portraits for the annual report of the Maag Lever Darm Stichting (MLDS). The MLDS is an independent organisation that has been trying to prevent and fight stomach, colon and liver diseases as well to provide information and support for people dealing these diseases, for the past 30 years. In order to do so they have been raising funds and cooperating closely with researchers, the government, patients and volunteers. Single image: a former colon cancer patient and his main supporter, his lovely wife, photographed in their home. Series of images, from left to right: two supporters who cycle the ‘Zuiderzeeklassieker’ each year in order to raise funds, a donator and a volunteer, two members of the Board of Trustees. 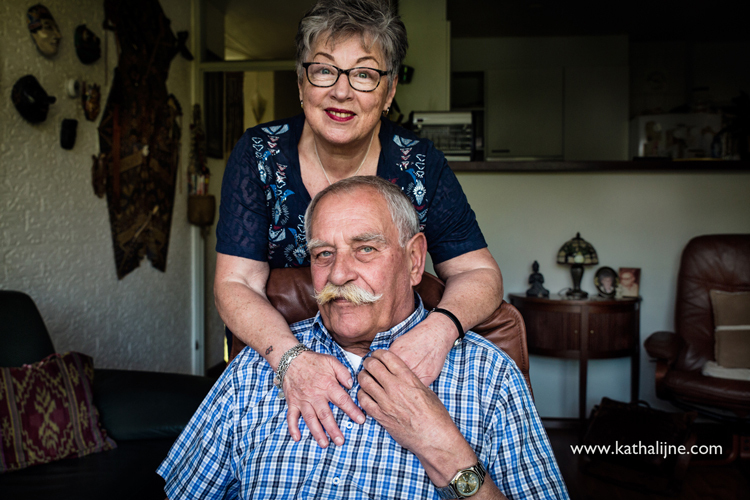 This entry was posted in new work, portrait and tagged annual report, cyclists, duo, husband and wife, Kathalijne Van Zutphen, Maag Lever Darm Stichting, MLDS, Portrait, schrijf-schrijf, volunteers. Bookmark the permalink.